Setting aside the 50% penalty for RMDs that are late, RMDs are taxable events. Fortunately, if you would prefer to start your RMDs later (and, thus, pay the correlative tax later), you'll be happy to know there is a still-working exception to the RBD. The still-working exception delays the RBD to April 1 of the year following "the calendar year in which the employee retires" (assuming that date is later than April 1 of the year following the year the participant turns age 70½). But, when is an employee deemed "retired" from the employer? The IRC provides no guidance. Does it mean ceasing all work for the employer? Working only part-time for the employer? The general understanding is that if the employer considers the individual to be employed, even if the work is of a limited nature, the individual is not "retired." There are a few important caveats to the still-working exception. First, if you are over age 70½ and make December 31 your last day of work (as many people do), you have retired in THAT calendar year and must start your RMD just three months later, by April 1 of the following year. 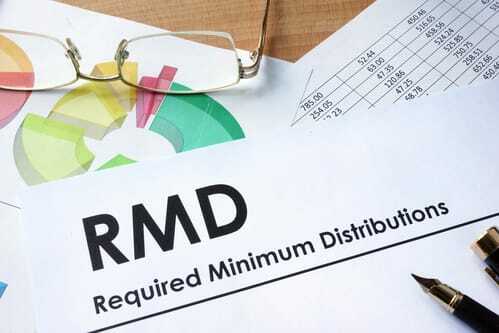 So, for example if you have worked well past age 70½ without taking any RMDs and decide to make December 31, 2018 your last day of work, you must start your RMD by April, 1, 2019. If, however, you decide to go into work for one more day on January 1, 2019 to wrap up a few loose ends, your retirement would occur in 2019 and your RBD would be April 1, 2020. Second, the still-working exception only applies to the plan of the company you are working for at the time. If you are also owed a pension from a plan of a former employer, the still-working exception does not apply and you must start your RMD for that pension by April 1 of the year following the year you turn age 70½. Third, although most plans permit you to avail yourself of the still-working exception to the RBD, nothing in the law prevents a plan from stating that you must start taking distributions by the year you turn age 70½, which effectively renders the still-working exception irrelevant. Therefore, it is important to check the formal pension plan document to insure the still-working exception is available under the terms of the plan.